The greatest challenge when using GATING work zone crash cushions is ensuring the clear zone is CLEAR. 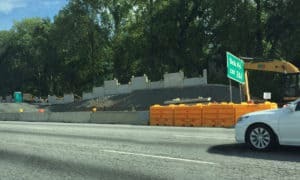 Clear zones might unknowingly become filled with equipment, construction materials, work vehicles and other hazards as the project progresses and lanes are reconfigured. What Is A Clear Zone? According to the Roadside Design Guide of the American Association of State Highway and Transportation Officials (AASHTO), a clear zone is the total roadside border area, starting at the edge of the traveled way, available for safe use by errant vehicles. This area may consist of a shoulder, a recoverable slope, a non-recoverable slope, and/or a clear run-out area. Gating systems such as water-filled plastic crash cushions and sand-filled sand barrels are frequently used in work zones. 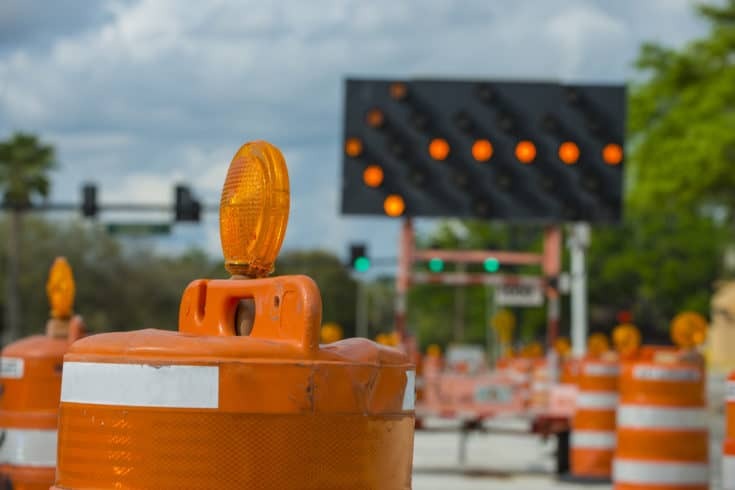 While there are sites where gating systems are sufficient and will function properly, there are many cases when work zones don’t provide sufficient clear zone and motorists are at risk because of it. It is not uncommon for work zones to have equipment, materials and other hazards obstructing the clear zone during the project duration. Crash cushions are moved as lane configurations change, so maintaining an adequate clear zone can be challenging. The REACT 350 self-restoring crash cushion is redirective/non-gating and can be rented for a cost that is comparable to plastic water-filled or sand-filled systems. Contact JTI if you are interested in renting REACT 350 crash cushions to increase motorist safety – especially for Severe Use sites or at the leading-edge of work zones where there is a higher chance of impacts.